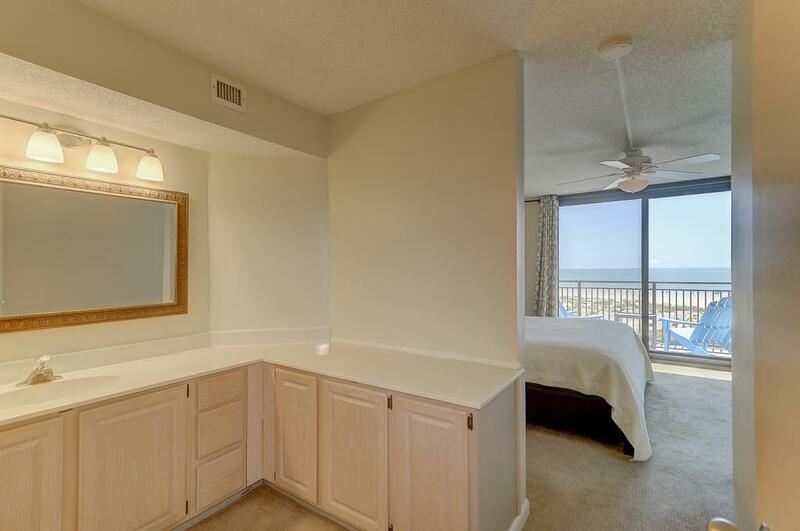 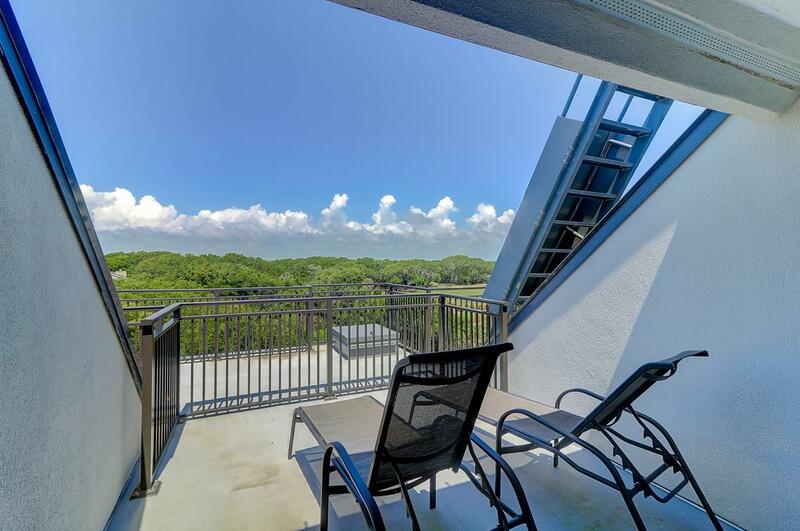 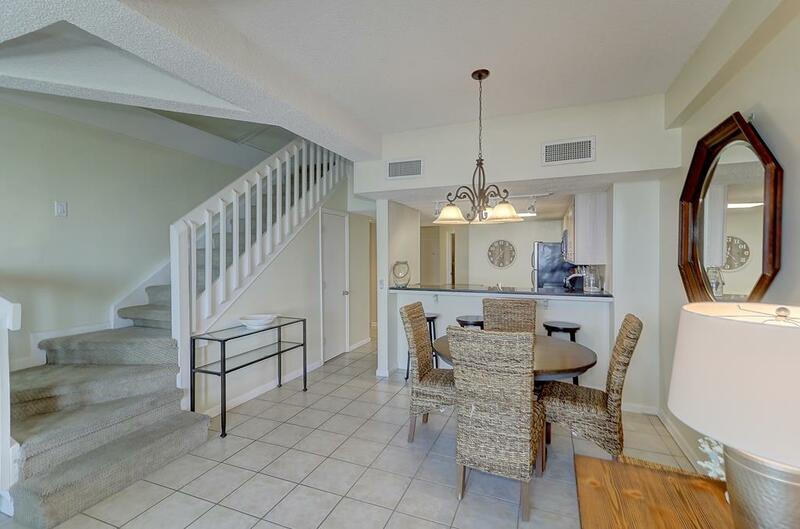 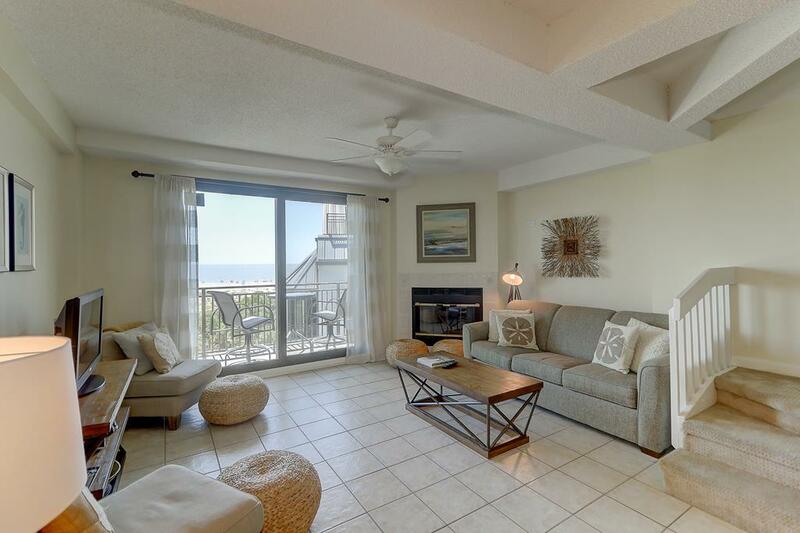 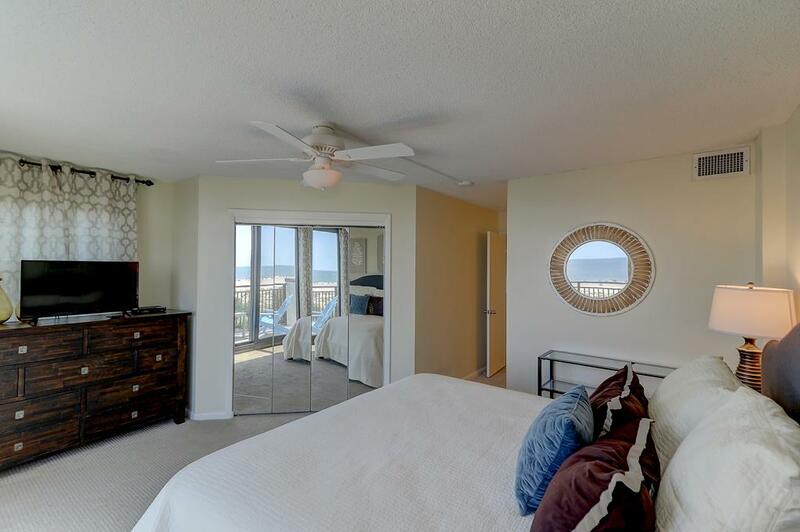 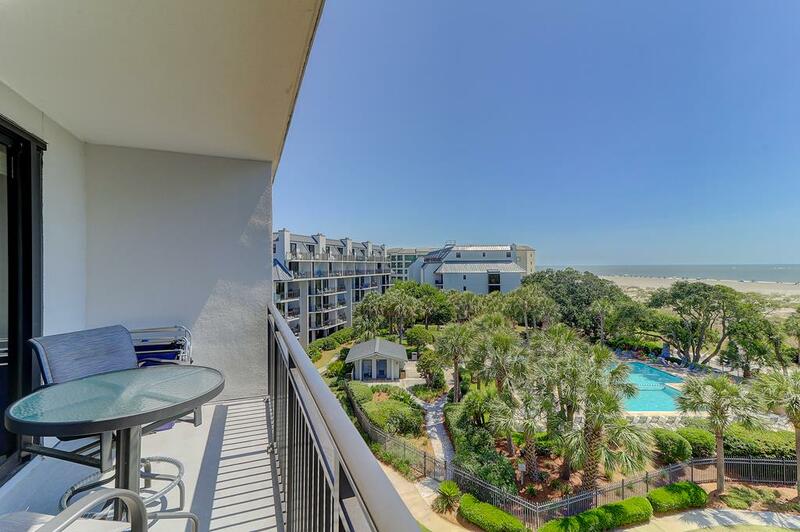 “Southern Grace” a penthouse ocean front condo, Shipwatch 416B, provides a perfect home for your getaway in Wild Dunes. 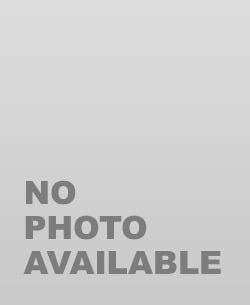 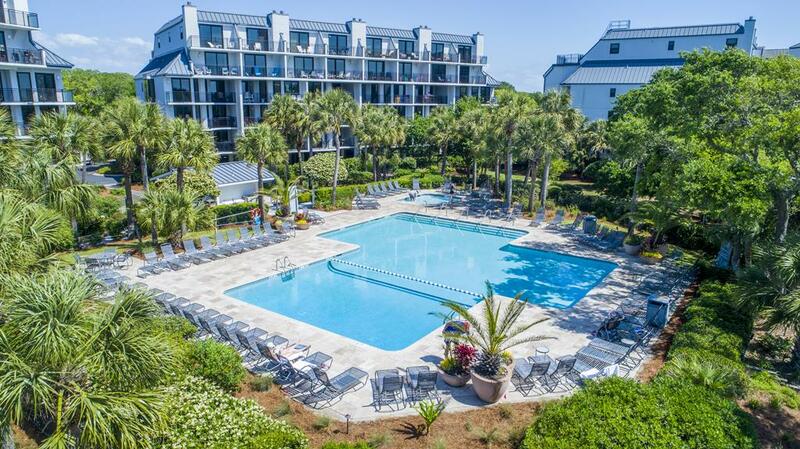 A Wild Dunes SportsCard is included with this rental. 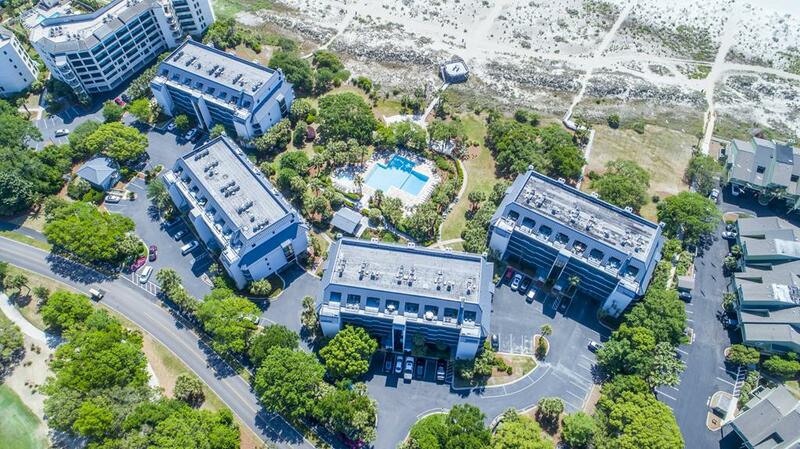 Southern Grace is an end unit on thetop floor of Shipwatch, with two levels and three balconies. 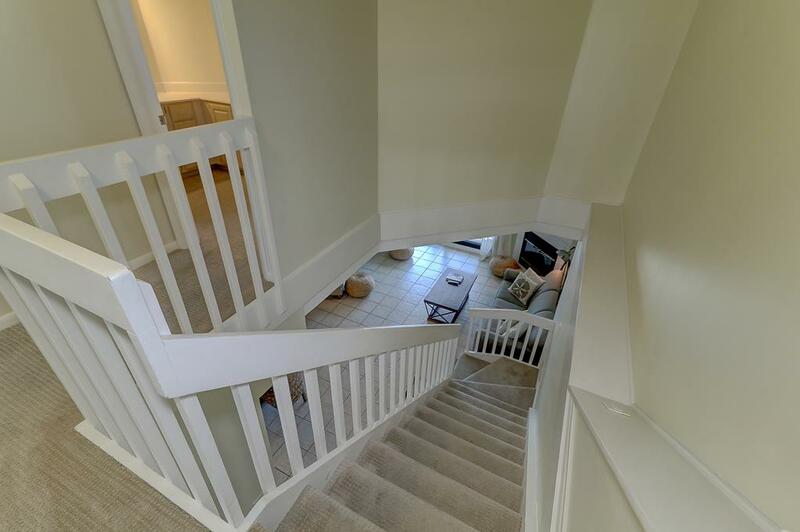 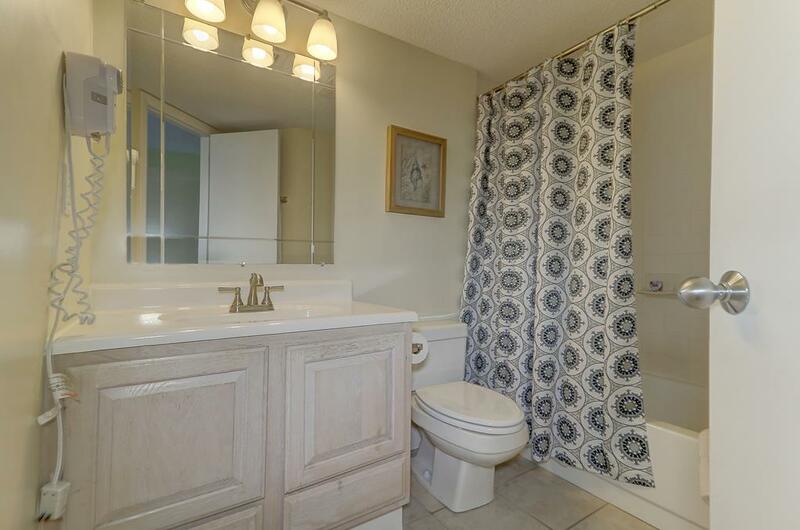 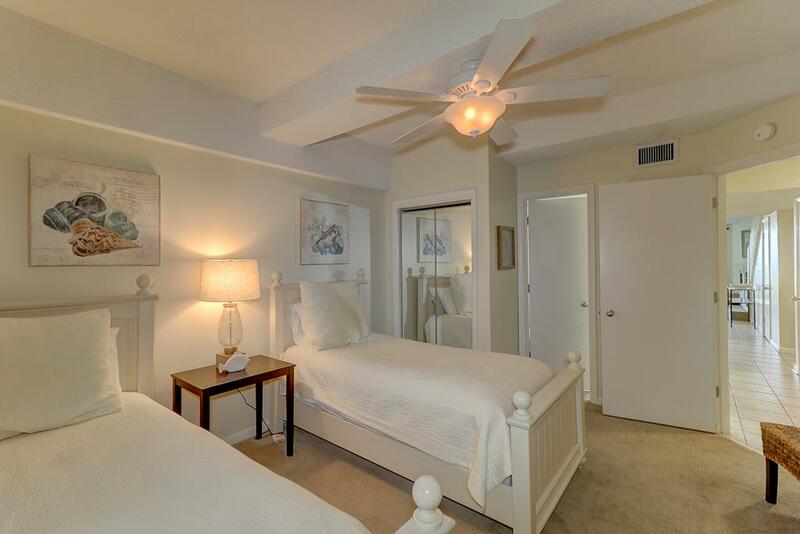 The first floor features a guest bedroom with two twin beds and a private bath. 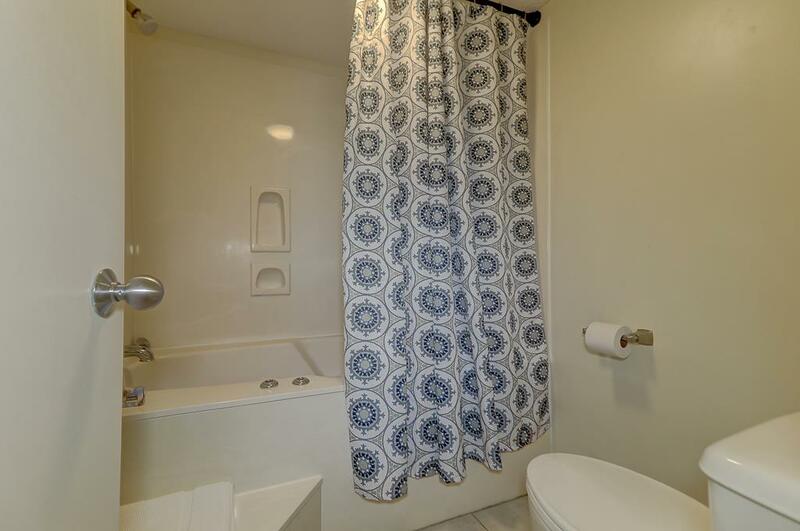 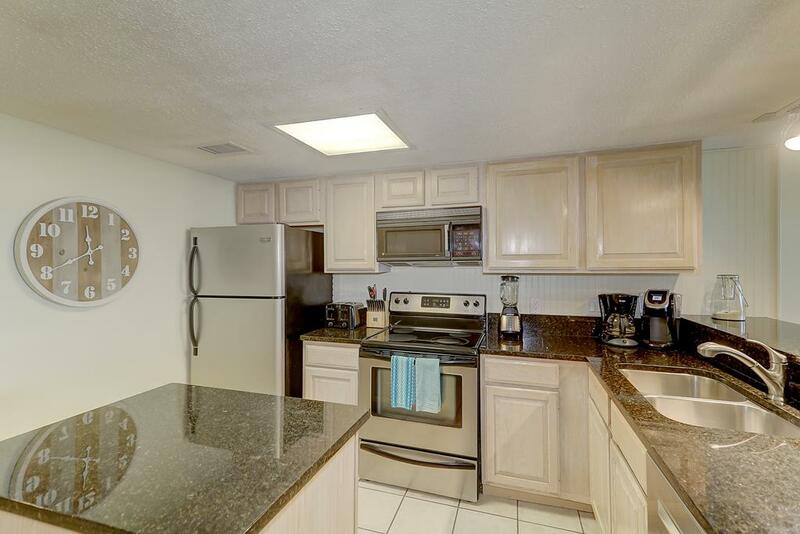 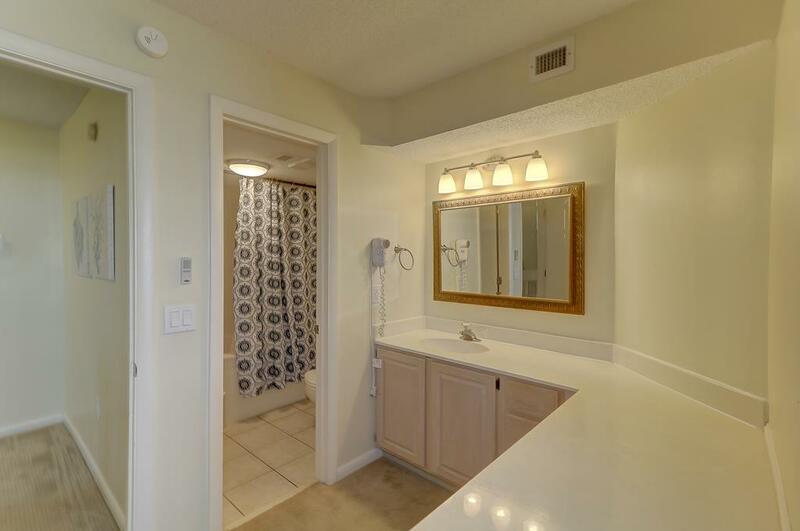 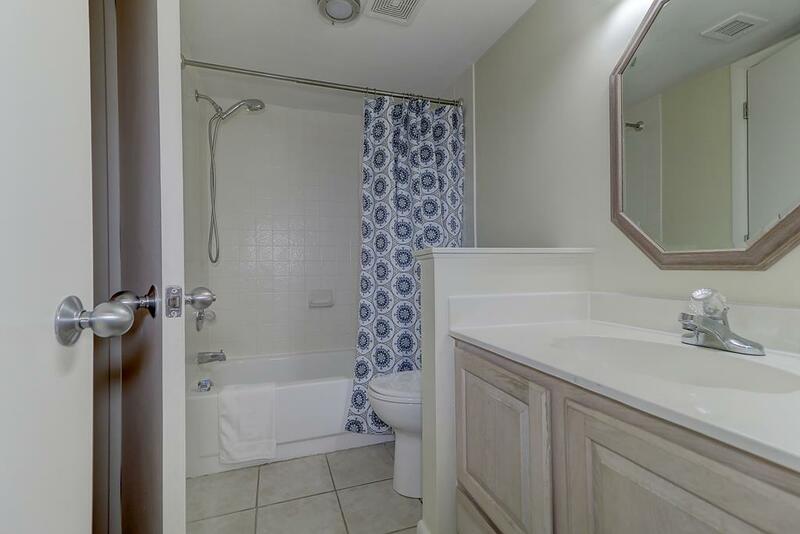 The kitchen offers stainless steel appliances, granite counter tops, and a fully stocked kitchen. 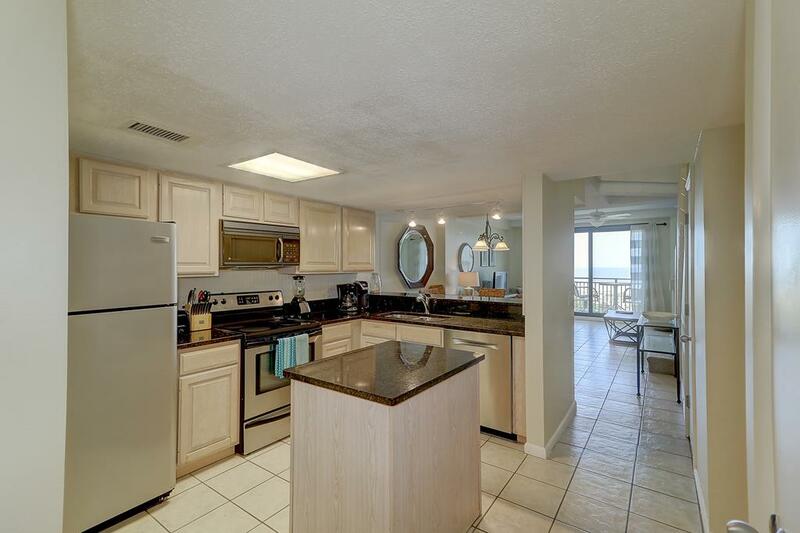 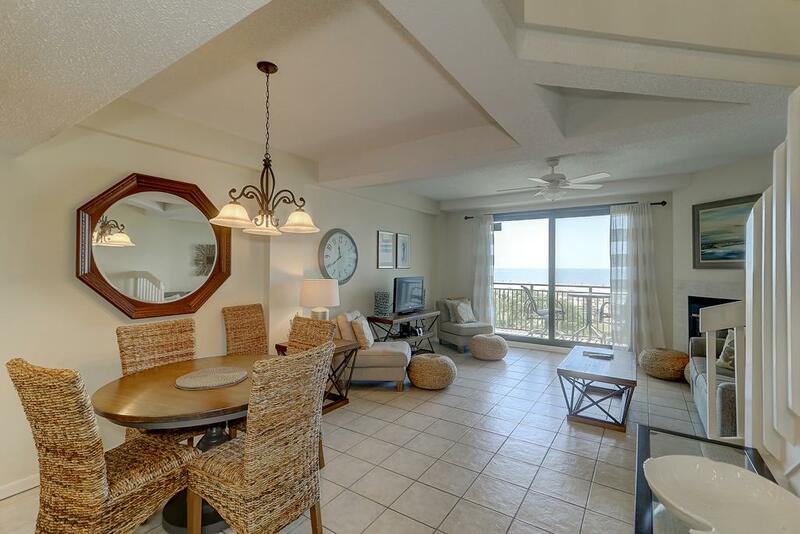 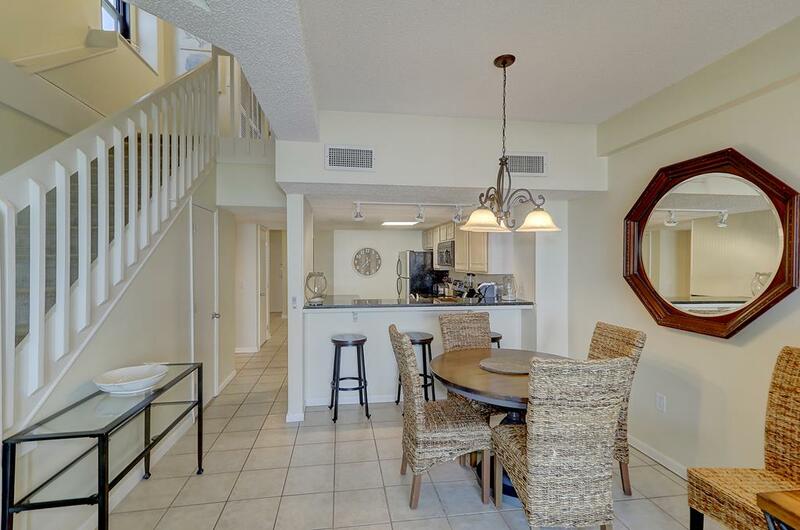 The open kitchen looks into the living room with comfortable seating, a flat screen television, and expansive views of the ocean and the beach. 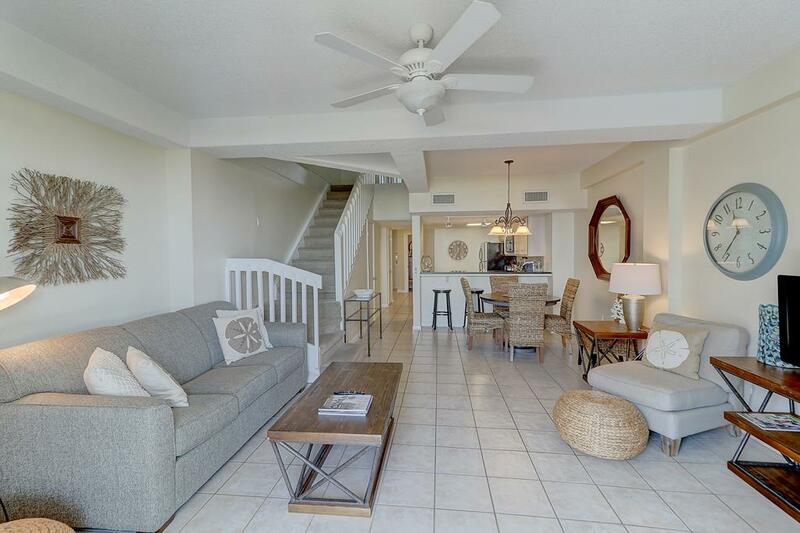 The living room sofa opens to a queen bedand the living room has floor to ceiling windows that are sliding glass doors which open to a private balcony. 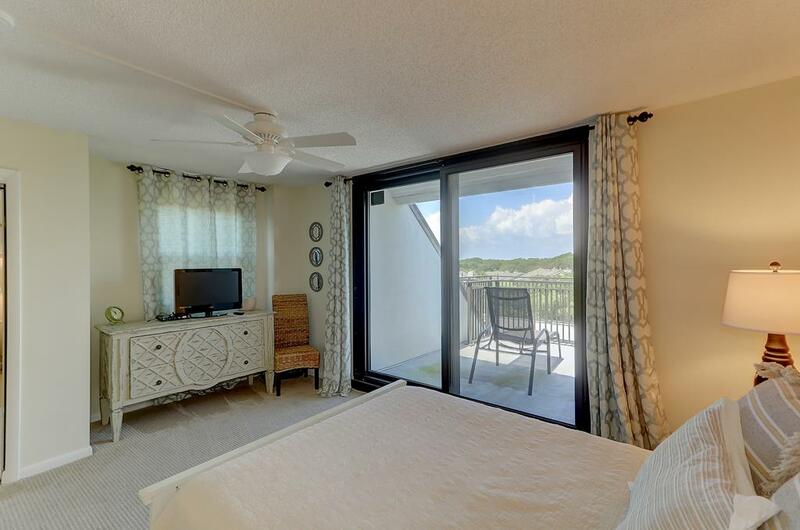 This balcony hosts a bistro table and chairs, as well as gorgeous views of the sand and the surf. 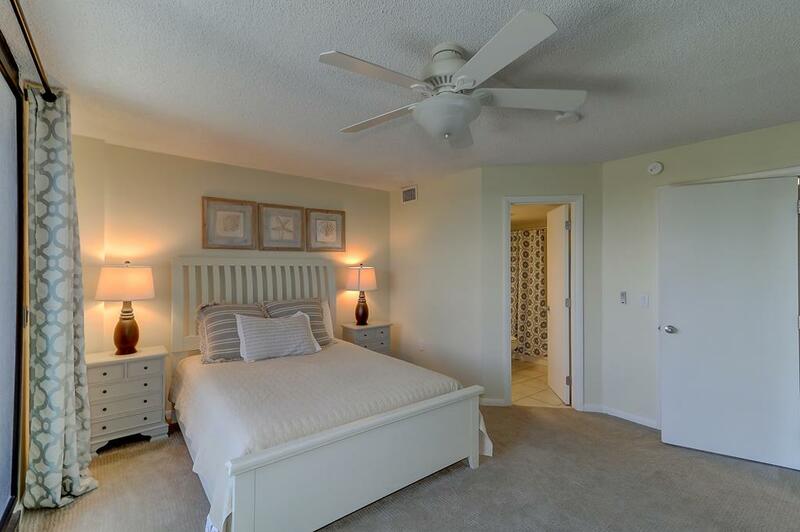 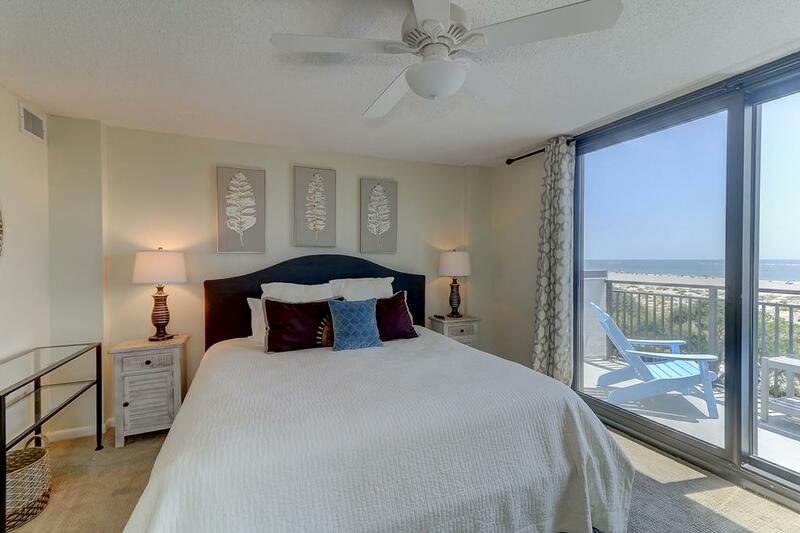 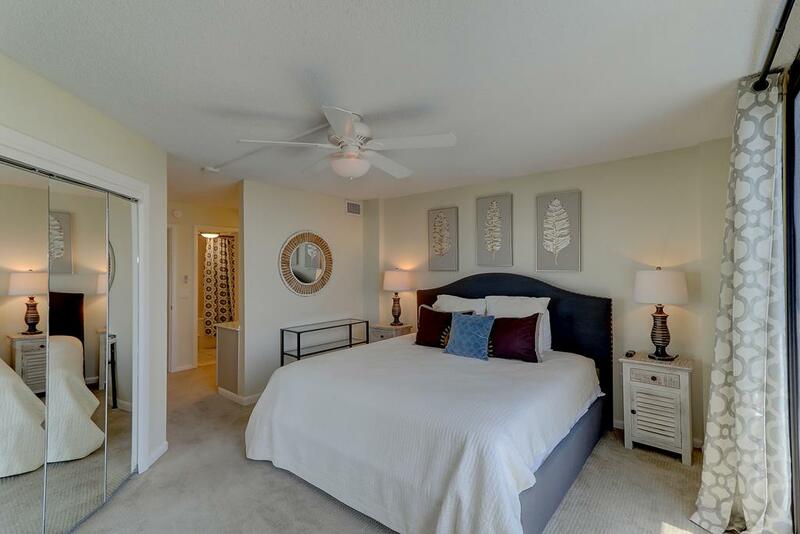 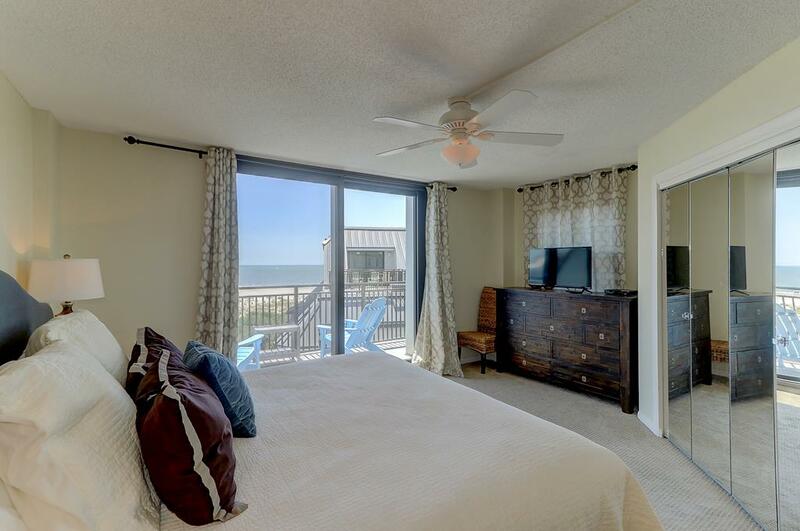 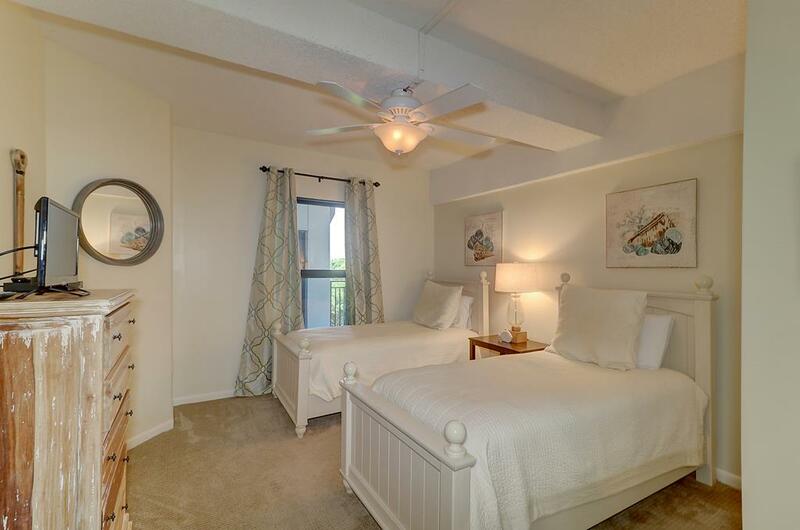 On the second floor, the master bedroom features a king bed and privatebath, as well as a balcony with adirondack chairs for you to enjoy as you watch waves crashing onto the sand. 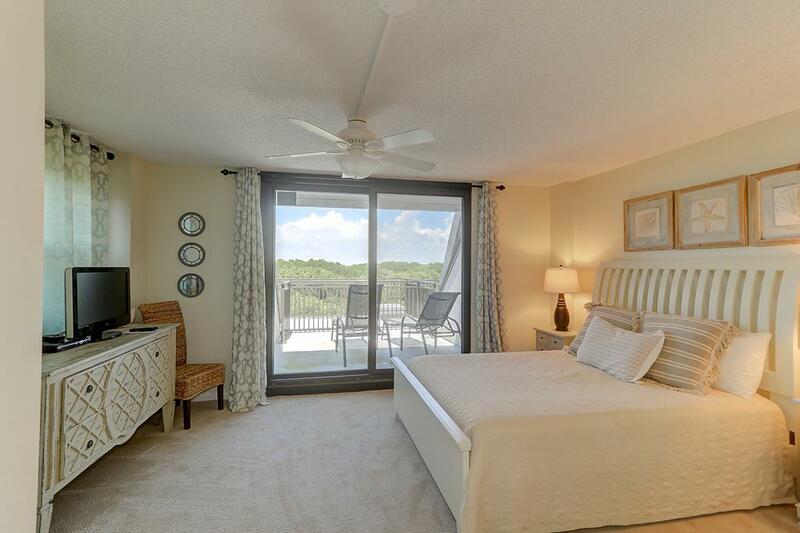 The guest bedroom features aqueen bed, full bathroom and a balcony with lounge chairs and fantastic views of the golf course. 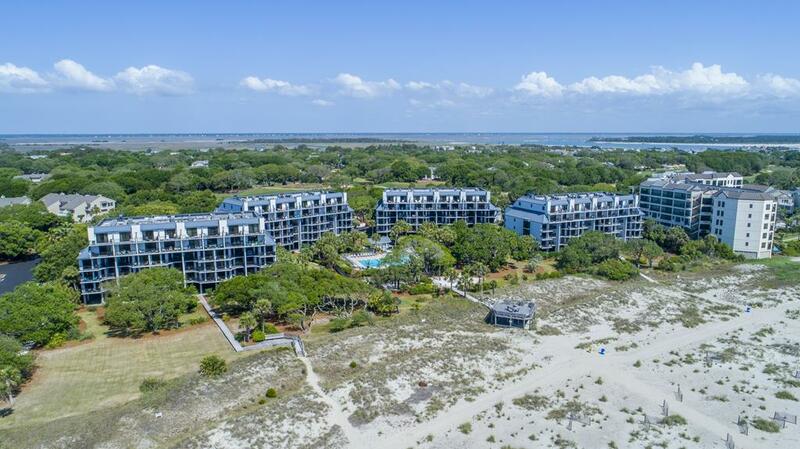 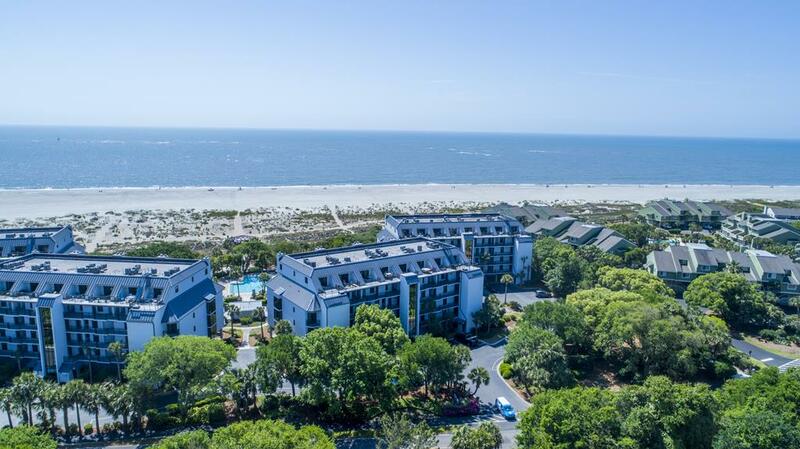 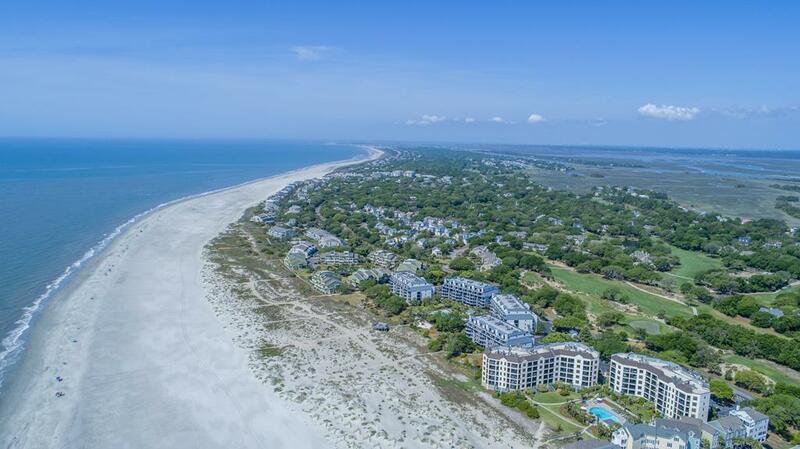 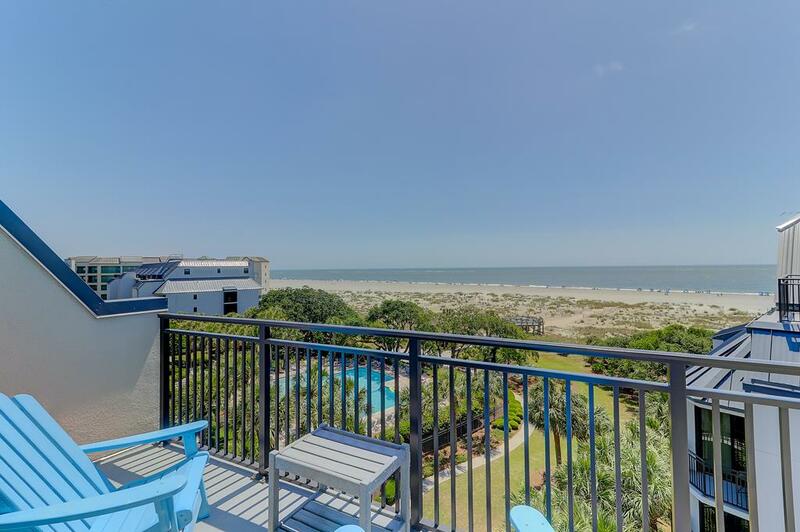 Come stay at Southern Grace to enjoy comfortable ocean front living in Wild Dunes and explore all the Charleston area has to offer!